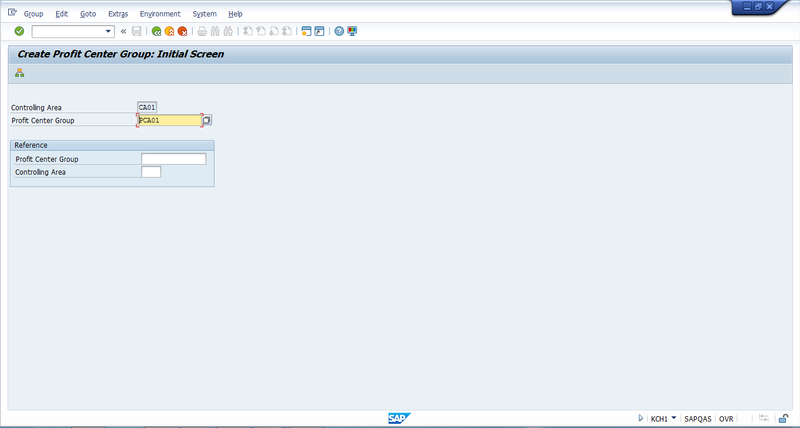 SAP profit center is part of Controlling module of SAP and is used for internal reporting and analysis purposes. SAP profit center is an organizational unit in management accounting and it shows the operating results of the organization from the perspective of management for the purposes of internal controlling. SAP profit center enable us to decentralize various units for reporting purposes and they are treated as different companies in an organization. The calculation of key figures such as Return on Investments (ROI), cash flow, etc. in management accounting is possible through profit centers. Profit Center Accounting is a sub module in management accounting (SAP CO) and is tightly integrated with the new general ledger accounting. It is used for the determination of profits and losses for individual internal areas using cost of sales approach or period accounting approach. Profit centers can also be used as investment centers by calculating the fixed assets capital. The difference between a cost center and a profit center is that a cost center is only responsible for the costs in a company whereas a profit center is responsible for both revenues and costs. Therefore, SAP profit center can be seen as a sub company in a company because it controls revenues and costs and resulting profits and losses. The basic usage of SAP profit center is analysis of the revenues and costs for a particular area such as a plant, a business unit or a product line. Independent financial statements (balance sheet and profit & loss statements) can be generated per each profit center but should be used for internal reporting purposes only. The reason is that if a profit center is used for external reporting purposes, then this profit center should be defined as a company code. 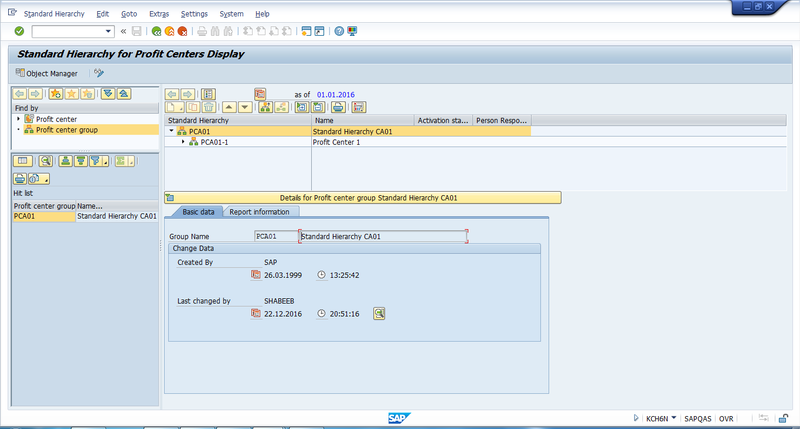 Now, the main question is how cost and revenue are posted or flow in SAP profit center. The answer is that a profit center is stored in the cost center master data and through this the cost flows in the profit center. Whereas the revenue flows from the sales order created for a finished product as the profit center is also stored in the material master data. So, basically the cost and revenue generated from the sales order of the finished product is directed towards the profit center. Once all the revenue and cost are in the profit center, the company can write their own reports using the report painter for internal analysis or use one of the SAP standard reports. One of the important parts of defining a new SAP profit center is to assign the profit center to a standard hierarchy after creating it. 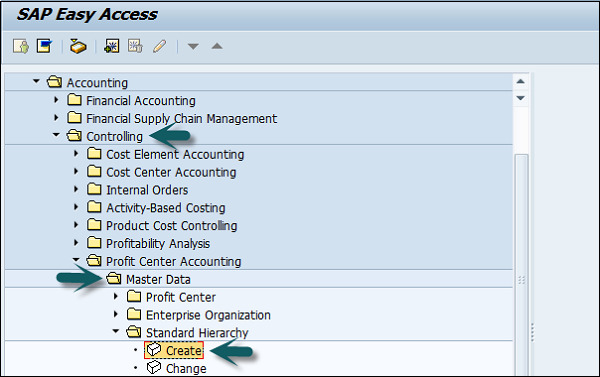 You should assign the profit center to a group node of the standard hierarchy. The standard hierarchy is maintained from the application menu. How to Create SAP Profit Center? On the initial screen of KE51 transaction, please enter ID of the profit center that you want to create and click on Master Data button. After entering these details, click on the save button. 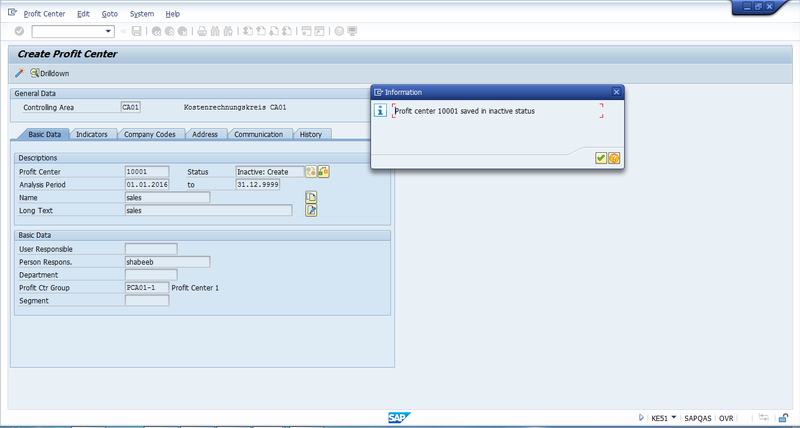 The SAP system will save the profit center in an inactive mode. While a profit center is in inactive mode it cannot be used for entering data in business transactions. If you want to use the newly created profit center, it is necessary to activate it. To activate the profit center, click on the activate button on the same screen. Congratulations! You have successfully created a profit center. How to Create Profit Center Group? On the initial screen, it is necessary to enter code of the group you would like to create. 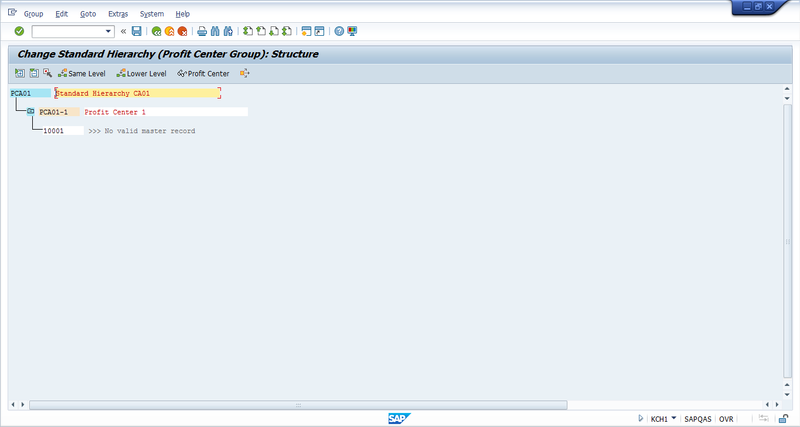 Next, click hierarchy button to continue with defining a hierarchy of profit centers in the new group. On the screenshot below you can see a sample hierarchy of group PCA01. If you want to display existing standard hierarchy, it can be displayed with the transaction code KCH6N. A Standard Hierarchy for Profit Centers. SAP CO Profit Center standard hierarchy, known as tree structure, that contains all the profit centers in a controlling area. How to Create Profit Center Standard Hierarchy? Use the T-code KCH1 or go to Accounting → Controlling → Profit Center Accounting → Master Data → Standard Hierarchy → Create. In the next screen, enter the Controlling Area for which you want to create a Standard hierarchy. Enter the Profit Center Group and click Hierarchy at the top and enter the sub-nodes of the Profit Center Standard Hierarchy. Click the Lower level button to create a hierarchy. Click the Profit center to assign a Profit Center group. Click the Save button at the top and you will get a confirmation message.